She also released what is said to be a secretly recorded tape of White House chief of staff John Kelly firing her. In response to a tell-all memoir by Ms Manigault Newman, due to be published this week, Mr Trump called her a “lowlife”, tweeting that “She never made it, never will”. The White House described her as a “disgruntled” former employee. 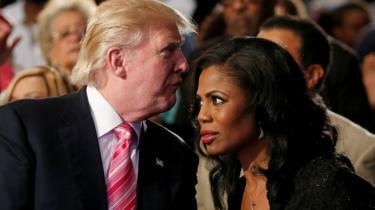 Ms Manigault Newman, who knew the president from her days as a star of The Apprentice reality TV show, advised him on African-American issues during the 2016 presidential campaign and went on to become director of communications for the Office of Public Liaison before being fired in December. How did Manigault Newman lose her job? Her dismissal was announced on 13 December amid US media reports that she had been fired by Mr Kelly and “escorted out” of the West Wing. According to the New York Times, she had annoyed colleagues at the White House – but not Mr Trump himself – through her “damn-the-rules” behaviour. “Wacky” and “nasty” were words Mr Trump used to describe her. 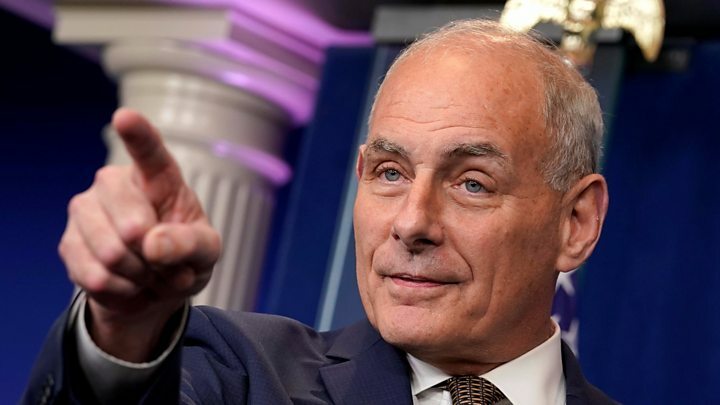 In the recording she released of her dismissal conversation, the man assumed to be Mr Kelly, who says he has lawyers present when they meet in the high-security White House Situation Room, speaks of “significant integrity issues” as the reason for firing her. “It’s come to my attention over the last few months that there’s been some pretty, in my opinion, significant integrity issues related to you,” he says, mentioning her use of government vehicles and “money issues and other things”. How did she defend making the recordings? She told NBC in an interview that she had “protected” herself “because this is a White House where everybody lies”. “The very idea a staff member would sneak a recording device into the White House Situation Room shows a blatant disregard for our national security,” she said. He added that he had asked Mr Kelly to try to “work it out”.